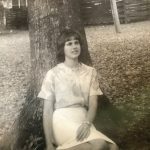 My mother made her final transition last night. 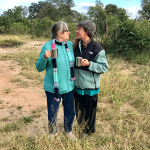 After I told her, my friend Shiloh said, “When the mother passes, the fabric of the universe is shifted and moves into a new shape.” Today begins the first day of that new shape for those of us who can hardly begin to imagine the world without Trish Rankin in it. We are all weary but filled with broken-hearted love and gratitude. Last night, my sister, my mother’s two sisters and I held my beloved mother precariously in our adoring arms through the harrowing end. My daughter was on the phone with us when she breathed her last agonizing breath. We held our breath with every last painful breath my mother breathed, praying, praying, “Oh dear God, please please take her. Please have mercy and let this be the last.” As an OB/GYN, my mother’s transition reminded me of one of those brutal childbirths, the ones that go just the opposite of how the woman wished to give birth in her birth plan, the ones where everyone in the room is so impossibly spent at the end that you marvel at the resilience of the human body and spirit and feel flooded with awe—and also, relief—that it is finally over. It’s like you can’t believe the mother and the baby—and the family and the doctor and the nurse—actually survived it. I know we all prayed my mother would have a peaceful end, a quiet passing in her sleep even or a romantic last breath cradled in the arms of her singing family, a benevolent smile on her glowing face or maybe some inspiring last words. As much as I’d like to tell you all a little white lie, just to spare you the agony of what we had to witness, this is not what happened. 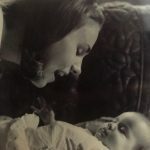 My mother raged, raged against the dying of the light—her body as strong and mighty as her will, her will to live so intense that she literally stayed until she didn’t have one last ounce of life force to fight with. I am so grateful for all of your support, for all of the energy healing you sent and the intercessory prayers you uplifted on all of our behalf. Thank you thank you for this. I am unspeakably grateful to you for walking with my family in consciousness during this intimate journey. It gives me some comfort to hope that in some metaphysical way, my mother and all who attended her transition were in some way taking one for the team, suffering dearly so that others might suffer less. Believing that this might be possible helps me ascribe some meaning to what would otherwise feel too brutal to bear. Maybe this is all part of the Divine Plan, that my mother’s death might be a teaching for us all, that even in the end, she dies in service. When I move beyond the raw, primal pain of my first day without my mother here in form, I can already experience so many blessings in this. My mother left no loving words unsaid, no dreams unpursued, no regrets, no doubt in her mind—or ours—that she loved well and that it was a life well lived. After the final raging breath, a huge blessing blew in. There was PEACE. So much peace and stillness. 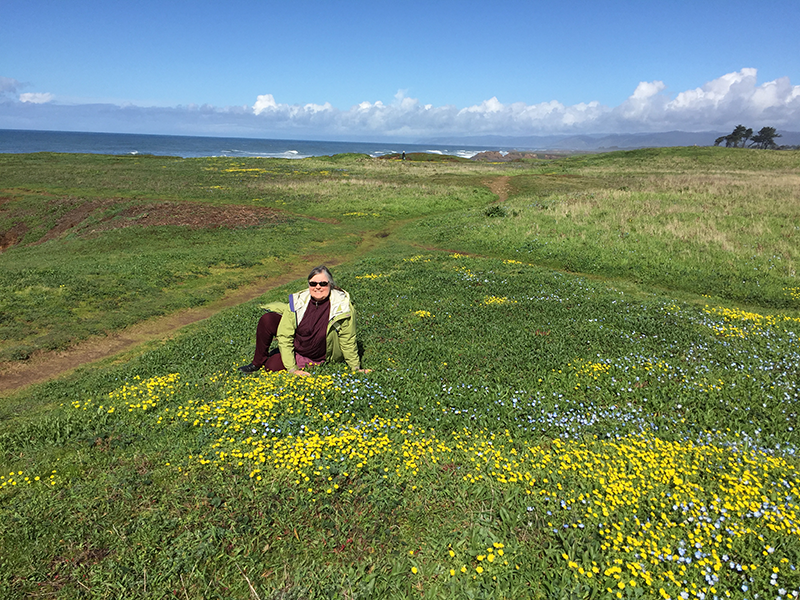 My mother was a DOer, rushing from one activity to the next, always the energizer bunny. I can’t remember my mother ever being still in my entire life. I hope she doesn’t rush right into angel caregiving when she gets wherever she went. I hope she sleeps for years and rests in natural great peace. At the very end, when we were performing our soul midwife service, we instructed Mom to dissolve into pure light, to merge her consciousness with the Divine and to float away. We told her to go all the way into the light, to not look back, to not worry about us, to dissolve into the Divine and rest in BEing—finally. I hoped I would feel my mother’s consciousness leaving, that she would show us some sign or give us some evidence that she was all right. We lit a candle for her and it had burned for days. I asked her before she left if she would blow out the candle for us from the other side—so we would know. But she didn’t. I had to blow it out myself. I had hoped to report some magic story, some evidence of life after death, some clear proof that what I trust is true. But I have no such miracle to report—no miracle other than the pure everyday miracle that is my family, a family that embodies love incarnate. What I can say is that right after my mother’s last breath, I could only hear the Silence and trust that in the deep Ground of Being that lives in that silence, there is only love. (And fluff. And cherry blossoms.) When I finally reminded myself to take the next breath myself, I could feel my heart blown open. There really is only love. At times like this, sometimes poetry is all that makes any sense. So I also dedicate this poem to you, my beloved mother. We will keep in touch across the veil, okay? I will see you on the other side. I promise it will not take long. as I die each moment? that I will cry with you. Spring and Winter are both present in the moment. The young leaf and the old leaf are really one. And my feet are yours. and see the cherry tree blossom in Winter. Why should we talk about death?